Founded in Germany, GLOSSYBOX is a monthly subscription beauty service that is revolutionizing beauty regimes across the world. 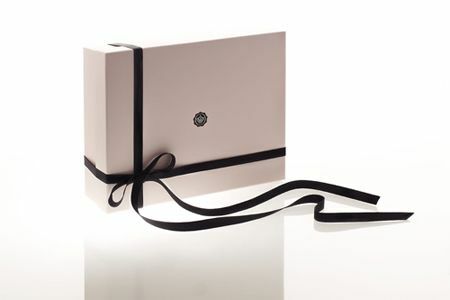 Each month members receive five luxury cosmetics wrapped in the company’s signature powder-pink box. GLOSSYBOX provides its clients with new beauty trends and products and a fashionable way to store their ever-growing beauty collection. 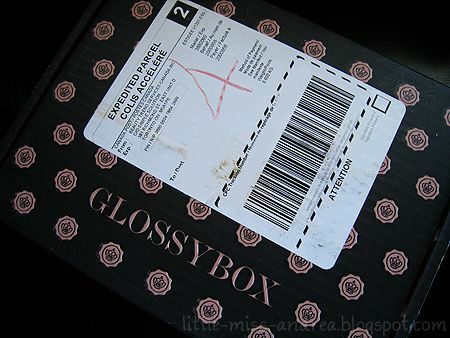 After great success in eight countries such as the United Kingdom, France and Italy, GLOSSYBOX is expanding into another twenty countries in 2012.
tough and costly decisions by sending the best cosmetic and beauty products right to the members’ door for only $15 a month. GLOSSYBOX invites members online to create a personal beauty profile. This ensures that the items in the box will be tailored to the individual’s needs or an introduction to new trends, and quality cosmetic and beauty products. The company was kind enough to send me the first edition of their Glossybox for the month of February, and I was quite impressed with what I found. 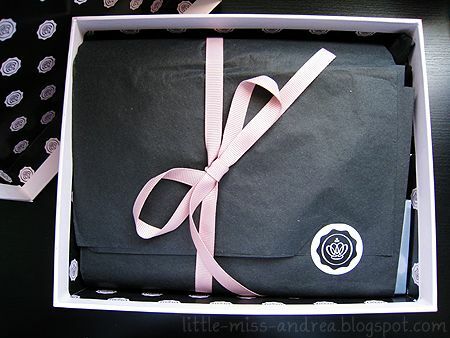 The box was shipped to me in a sturdy box, decorated with the symbolic Glossybox crown. Opening it up, there was the pale pink box sitting perfectly. 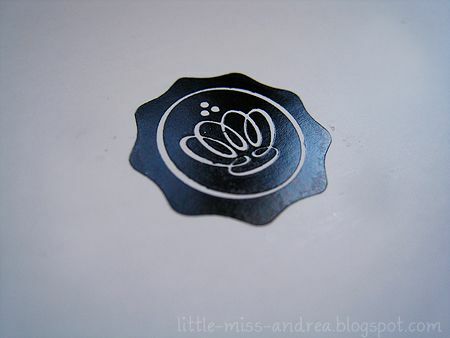 The box itself is very sturdy, and I love that it is decorated with just one small, simple logo. Because it isn't loudly decorated with the company name, I can easily use it to hold my trinkets from around the house. Similarly to the other boxes like Glymm and Loose Button, the products inside are cushioned by paper confetti pieces, wrapped in tissue and wrapped with a beautiful bow. Lots of care and attention is put into the presentation, making it all the more fun to open. In the box this month was: Ahava Mineral Hand Cream, Elizabeth Grant Skin Care Moisturizing Stick, Essie lacquer in Neo Whimsical, Oscar de la Renta Live in Love body lotion, Elizabeth Arden Prevage Night Cream, and Beauty So Clean Sanitizing Mist & Wipes. First of all, let me just say the value of the products in the box this month well exceeds the $15 subscription price. What I love is that all the products in the box are not shade specific (according to skin tones), and I'll be able to try everything out. The brands offered by Glossybox are mostly different from those supplied in other boxes, and it feels like their products are received from higher end companies. 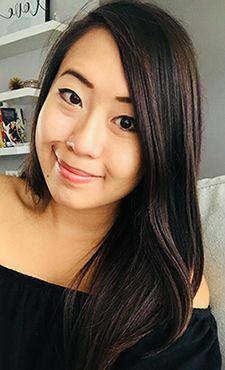 What I'm most excited to try out is the Beauty So Clean products - perfect for my upcoming trip this summer! Like other companies, the box contains little notes about the products, application tips, and even little sticker labels that you can use on different boxes. Currently, Glossybox does not sell the full sizes of the sample items you receive, but the website contains pricing and purchase information if you love the product and want to purchase it. It seems that the boxes are sent out expedited via Canada Post, which includes tracking information so you can estimate when to receive your box each month - I love when prices include shipping. Now what good is a company if you don't get rewarded? Glossybox has a great reward system for subscribers! After trying out a product, leaving a review gets you 20 GLOSSYdots, and accumulation up to 1000 gives you a free box! If you refer a friend to the program, you gain 200 points. Definitely better than nothing! So what are you waiting for? With a $15/month subscription fee, the subscription is automatically renewed each month, but can be cancelled at any time, free of charge. I will put this out there right now: I have ended my subscription with Glymm and am planning on picking out a new subscription service - so far, Glossybox is looking pretty good in my books. Sign up here with my personal referral link. **UPDATE** Readers of this blog can enter the code GLOSSY24 to receive 10% off your first box! I will be doing individual reviews for each product - coming soon! I love beauty so clean products. As a makeup artist I use thier products all the time! I love thier cosmetic sanitizer mists! thaks for your sweet coment on my blog! Seems like GlossyBox is conquering the world! Great overview of this month's box. Gorgeous blog! Following! Follow back? wow that's actually REALLY impressive.. i've been dying to try prevage products.. perhaps i should subscribe seeing as how i'm in germany and all hahahha.. that's serious the best beauty box i've EVER seen! Thanks for the heads up. I just signed up for the Luxebox and will try to limit myself to one subscription at a time. Good thing is I could cancel any time and try Glossybox. I'm sold just on the packaging already!! 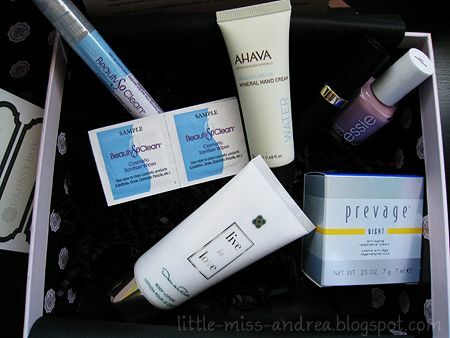 Just saw your review for this month's Luxe Box! I think I do like Loose Button over Glymm, but you should check out Glossybox if you ever get bored of your Luxe Boxes :) The packaging is awesome! I think this type of subscriptions is doing remarkably well. It's a great idea to try the products before purchasing a full sized bottle. That saying, this is a great business idea too. please do a review on the prevage!!! soo nice that your box got essie nail polish inside! Oh no, that's so upsetting! Was it just the products you didn't like? Nice shoes you have in the header! Such a genius idea, I would love to subscribe to receive GlossyBoxes! So fun!! Hi Andrea! Thanks so much for introducing this. I just used your link to sign up. I can't wait for the box to arrive. Awesome! Hope you like your first box, Jo! Hey thanks so much for visiting my blog and for your sweet comment! So nice to hear that you liked the bracelets! When you'll start with them you never seem to finish...hehe! Hope to see you back soon and maube we can follow each other! I wish we had that here in the US!